Yesterday, we were incredibly saddened to hear of the passing of Jim Dunlop Sr, founder of Dunlop Manufacturing Inc., one of the most well known and respected guitar gear companies in history. Jim Sr. founded Dunlop Manufacturing, Inc. in his home in 1965 originally as a chemical engineering company but soon grew into a music gear manufacturer. Dunlop Manufacturing is most known for their signature guitar picks, straps and pedals, most notably the famous “Cry Baby” wah-pedal used by many musicians such as Kirk Hammet, Zakk Wylde, John Petrucci, and Dimebag Darrel just to name a few. 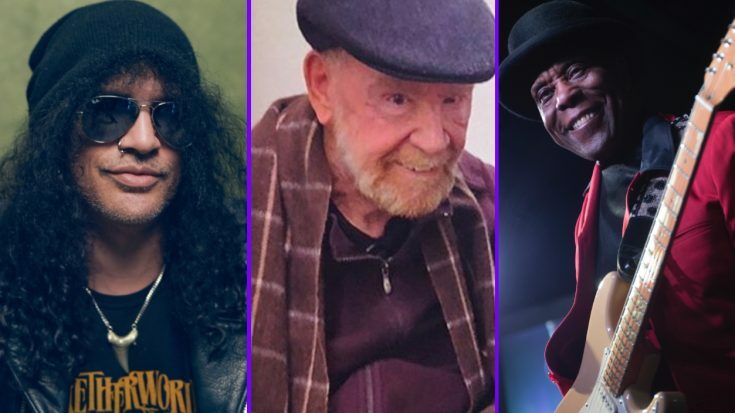 Since the news broke, many legendary guitarists have all taken to social media to pay their respects to Jim. Just from this, we can tell that Jim had such an impact on the world of music and hardly a single guitar made sure he went unnoticed. Here are just some of the tributes posted by some well known guitarists. Clearly, the impact Jim made on the guitar playing community was exponentially bigger than he may have even realized. It’s not just his gear, but it’s the confidence the gear gave to the player that truly opened doors for these players that shaped them into the best that they could be. Jim may not be with us anymore, but his timeless music gear will live on forever. I don’t think we’ll ever see the day where his picks, pedals, and straps aren’t an absolute must have for any and every guitar player. RIP Jim Dunlop Sr. Thank you for creating some amazing gear.